Here at Fluent Mortgages we take complaints very seriously. Within a further 28 days we will contact you again - either with a full response or reasons why we have been unable to provide this. If we are unable to provide a full response, we will inform you of any rights you have to refer the matter on to the Financial Ombudsman Service. Fluent Mortgages is committed to providing you with an excellent quality service - you should find your dealings with us to be prompt, efficient and friendly. However, we recognise that on occasion you may have cause to complain. If you do have a complaint about any aspect of the service you have received our staff will be happy to help resolve your concerns. 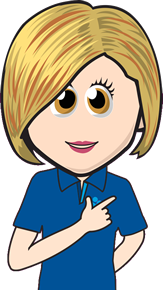 If you are unhappy with any aspect of the service from Fluent Mortgages we would very much like to know so that we can try to put things right as soon as possible.